The ARTEMIS Joint Undertaking project CRYSTAL (CRitical sYSTem engineering AcceLeration) takes up the challenge to establish and push forward an Interoperability Specification (IOS) and a Reference Technology Platform (RTP) as a European standard for safety-critical systems. This standard will allow loosely coupled tools to share and interlink their data based on standardized and open Web technologies that enables common interoperability among various life cycle domains. This reduces the complexity of the entire integration process significantly. 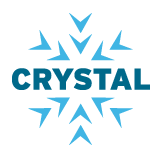 Compared to many other research projects, CRYSTAL is strongly industry-oriented and will provide ready-to-use integrated tool chains having a mature technology-readiness-level (up to TRL 7).